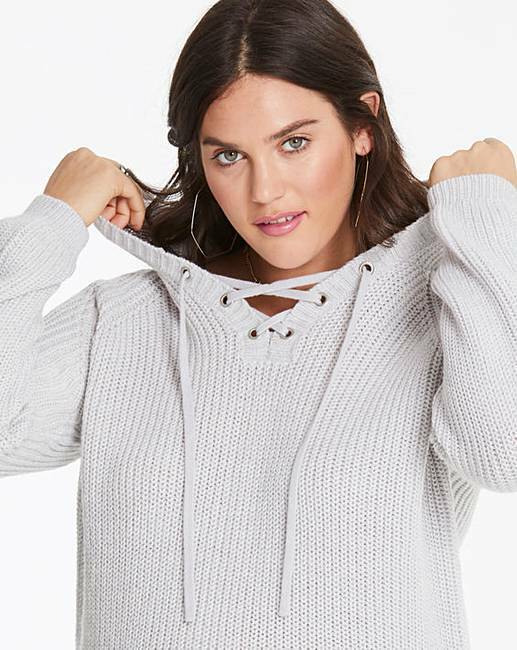 Up your basics collection with this hooded eyelet jumper. 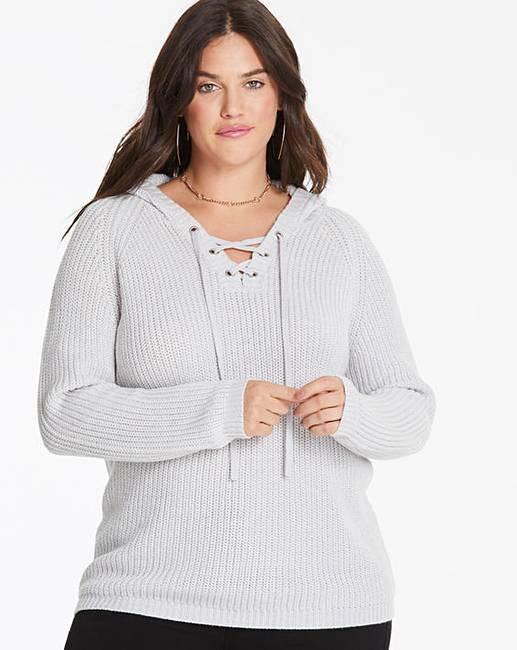 Made in a chunky knit for extra comfort and featuring eyelets to the front for a edgy alternative. 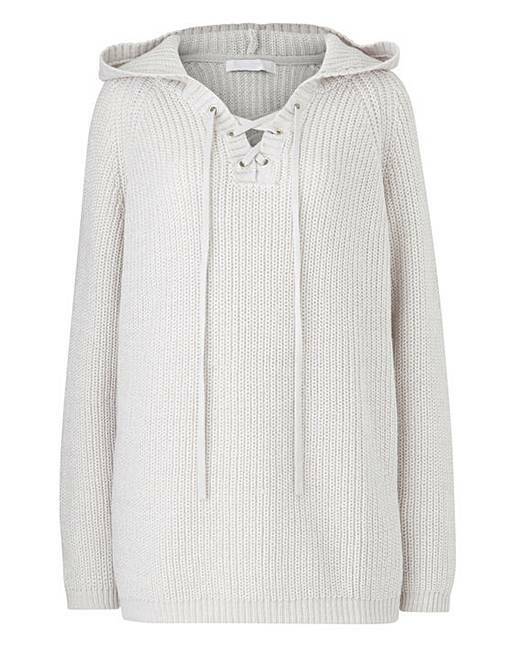 Simply pair with jeans and trainers for a cool everyday look.